On Oct. 2, 1881, a small group of men met in the basement of St. Mary's Church on Hillhouse Avenue in New Haven, Connecticut. Called together by their 29-year-old parish priest, Father Michael J. McGivney, these men formed a fraternal society that would one day become the world's largest Catholic family fraternal service organization. They sought strength in solidarity, security through unity of purpose and devotion to a holy cause: they vowed to be defenders of their country, their families and their faith. These men were bound together by the ideal of Christopher Columbus, the discoverer of the Americas, the one whose hand brought Christianity to the New World. Their efforts came to fruition with the incorporation of the Knights of Columbus on March 29, 1882. They were Knights of Columbus. The Order has been called "the strong right arm of the Church" and has been praised by popes, presidents and other world leaders for support of the Church, programs of evangelization and Catholic education, civic involvement, and aid to those in need. Father McGivney's founding vision for the Order also included a life insurance program to provide for the widows and orphans of deceased members. The Order's insurance program has expanded substantially to serve more effectively the Knights' growing membership. Year after year, the Knights of Columbus has earned the highest possible quality ratings for financial soundness from A.M. Best and Standard & Poor's. The Order provides the highest quality insurance, annuity and long-term care products to its members, along with many other fraternal benefits. The Supreme Council is the governing body of the Knights of Columbus and is responsible for the development of the organization as a whole. Supreme Council duties include establishing the Order in new regions and setting up regional authorities, defining and advancing its values and goals, undertaking organization-wide initiatives, promoting awareness of the Knights' mission worldwide, and protecting the families of members through its extensive insurance program. Members working in local or subordinate councils, however, carry on the majority of the Knights' beneficial work. 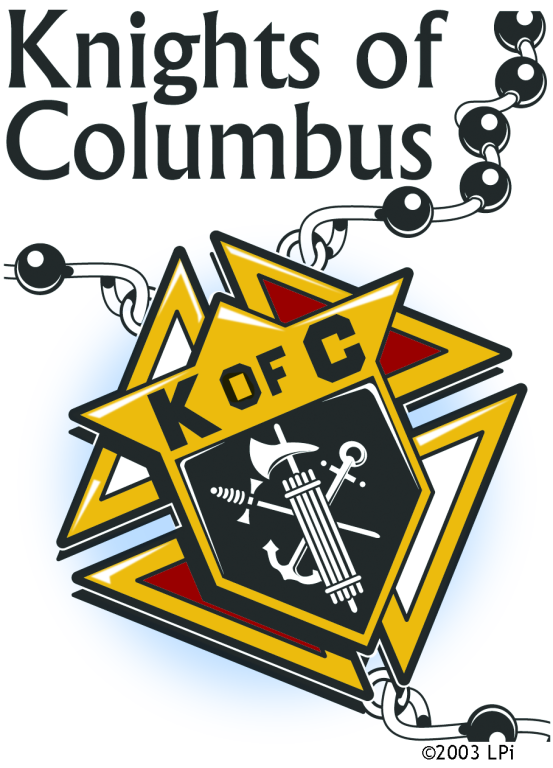 Membership in the K of C is open to any Catholic man, 18 years of age or older, living his life in accord with this fraternal organization's four principles: Charity, Unity, Fraternity, and Patriotism. The Regular Meeting of the Knights of Columbus is on the second Tuesday of the month in the Our Lady of Clarion Center. The Fourth Degree meet on the last Tuesday of the month in the Our Lady of Clarion Center.